Hanoi (VNA) – A conference held on March 28 in the framework of the Vietnam International Travel Mart (VITM) sought solutions to develop tourism in the context of Industry 4.0. 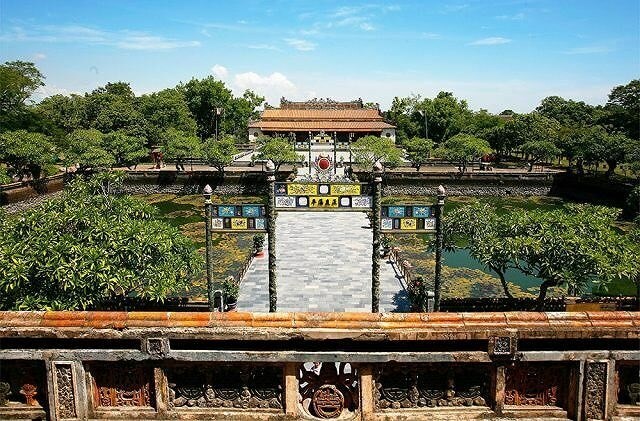 Through the newly launched VNGuide app and the website VnTrip360.com, tourists can enjoy virtual trips to beauty spots in Vietnam such as Quan Su Pagoda, Tran Quoc Pagoda (Hanoi) and the Cu Chi Tunnels (Ho Chi Minh City). And, more destinations in the country are going to be digitalised to provide different experiences for travellers and help introduce Vietnamese tourism to the world. Jason Lusk, director of the Mekong Innovative Startups in Tourism (MIST), consultant to the Asian Development Bank, said it was a great step forward for innovation in the Vietnamese tourism industry. “The Fourth Industrial Revolution brings many opportunities for Vietnam’s travel tech start-ups as well as the chance for Vietnamese tourism to boom,” he said. Ha Van Sieu, Vice Chairman of the Vietnam National Tourism Administration (VNAT), said Industry 4.0 impacted all fields, including tourism. Nguyen Chi Thanh, director of Toan Dung Media Company, the developer of VNGuide app, said it was time to make the term “smart tourism” popular. On the day, VNAT also launched a contest for start-ups in tourism development. The contest will run until June to seek ideas on how to use technology to develop tourism. Forums themed “Green tourism”, “Vietnam’s outbound tourism: Opportunities and challenges”, and a seminar on Vietnam’s tourism amid the fourth industrial revolution are also scheduled to take place at the VITM 2019.